Heather Johnson, a proud St. Louis native, got a head start in the real estate industry as a curious kid. Her earliest experience came at the age of 7, when she would knock on neighbors’ doors in Harbor Point, Michigan, asking for tours of their homes. No one ever turned her down. Today, she still tours neighbors’ homes; although these days, it is as the No. 4 agent at Dielmann Sotheby’s International Realty, having sold in 12 zip codes last year.Johnson’s strength as an agent is evidenced in her 96% list-to-sale ratio as well as her pattern of doubling her business from year to year. Real estate can be a competitive environment and her clients can be confident that they have an advocate working passionately on their behalf. Her active listening and intuitive abilities unite to successfully negotiate for her client’s best interest. Heather has been a triathlete for fifteen years. She knows what it is like to set your mind to a goal, prepare for positive outcomes and do what it takes to reach those finish lines. Real estate transactions can be complicated, but a tenacious and positive attitude on the part of the Realtor can ensure a deal reaches the finish line. She acknowledges that buying or selling a home is likely a person’s most important purchase they will make in their lives.  Heather takes this very seriously and works closely with her clients to communicate every step of the way in order to execute a smooth sale process. An active member of the community, Johnson is on the Board of Directors for Greater St. Louis Honor Flight, whose mission is to safely transport veterans to Washington, D.C., to visit the memorials that honor their service. She is honored to be in the presence of the men and women responsible for the freedom Americans enjoy. A resident of Kirkwood, Heather can often be seen around town with her husband and two sons enjoying Kirkwood’s walkability. Johnson uses her insight about her neighborhood to help connect buyers and sellers for quick sales.